Are you planning to start a business or pursue your hobby in creating content? Got the passion for writing stories and poems? Do you want to spread your message in the world? Are you wondering what is the best thing to do since you don’t know how to code? Creating your first website doesn’t have to be difficult and challenging. All you will need on how to start a free blog is WordPress and 000WebHost. Let’s cut the small talk and directly jump into the details. You might be asking; Oh no, I have no idea what WordPress or 000WebHost is. Unless you have been hiding under a rock for the last 20 years or you are not really a techy person then you might not really know what they are. To put things easier, you can use WordPress to help you start creating content through a blog or website without the actual knowledge of coding. For every website, you will need a host but sometimes it get’s difficult when it comes to installing WordPress into it. Lucky for us, most hosts these days have auto-installers like 000webhost for example. Did I already mention? It’s FREE! In this guide, you will see how simple is it to install WordPress on 000WebHost using both automatic and manual installation methods. Also, we are going to run through some important steps to follow after installation is performed in order for you to keep your WordPress site running smoothly. WordPress is one of the world’s most-used and acclaimed content management systems, and it is really attractive to the eyes of viewers due to its smooth interface and user-friendly UI. This particular Content Management System (CMS) enables a user to create pages, upload content and customize its feature to make the appearance of your website more attractive to the audience that you are catering. Like most CMS’ what makes WordPress great for non-coding publishers is the fact that it requires no coding knowledge. Learning how to use WordPress and exploring its feature is a quick and simple process. And what makes things even better is that WordPress is flexible enough to suit any kind of website. Creating a site on WordPress is really easy due to plug-ins and themes that WordPress offers. There are literally plug-ins for everything! For example, there are plug-ins in order for your site to be protected from spam, plug-ins that help improve your Search Engine Optimization (SEO), plug-ins in speeding your sites loading times and so much more. WordPress contains thousand of themes to choose from. Choosing the right theme for you will help you to control how you want your site content to be presented. WordPress makes it easy for you to increase your traffic and improves your search rankings. Plug-ins make it easier to ensure that your chosen keywords are being implemented well and shown in very strategic ways. So, think of it as an added bonus, you don’t only get to upload your content but you also get help on how your published content gets delivered to the top Search Engines. WordPress is an open source type of software that means it can be edited, modified and used freely. It opens up lots of room to operate it well when it comes to adapting, measuring and distributing content as a publisher. In addition, WordPress offers reliable support for their free and paid users. There are literally hundreds of thousands of web hosts available right now. Some can cost from $5.00 up to $45.00 per month. 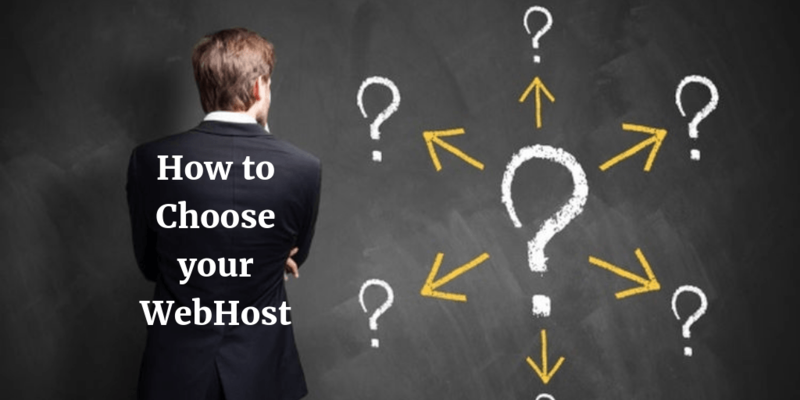 The biggest challenge in choosing a web host is whether you can afford the monthly subscription and whether the hosting service can suffice for the amount of traffic that your website would be getting. Truth be told that some hosting is cheaper than water but for a lot of publishers who just started making content, $5.00 can become a lot especially if the website isn’t generating revenues yet. So, luckily for us, we have 000WebHost to save the day! They cost absolutely free and compared to all the other free hosting they have the highest uptime. There are basically just 3 things you will need to do to officially start your blog. It’s as easy as that. In just three steps you are one step closer to being one of the premier publishers getting thousands of dollars in ad revenue per month. It’s not really complicated to sign-up for 000WebHost.com. It’s as easy as joining Facebook or any other social media network that you are currently a part of. After you have followed those very simple steps you will receive an email confirmation from 000Webhost. After you have confirmed your email you are now ready to install WordPress for your blog. There is actually a full guide provided by 000WebHost about installing WordPress easily and effectively. You can read the full documentation by reading the 000WebHost WordPress installation guide. It covers all the necessary things that you will need to properly install WordPress and have it running in no time at all. In this guide, we will be using the 000webhost Auto-Installer. Click the “Install Now” button that you can find right below the Build with WordPress site option. Set your admin username and password in the WordPress installation screen which will come up. Most of the time you will have no issues with installing WordPress, however, there are some occasions wherein you will deal with some technical difficulties. Do not fear though, there are tons of fixes and content available that will guide you through a step by step process in troubleshooting your problem. One of the problems you might deal with is an error establishing a database connection. No need to worry! you can easily fix it by using WordPress’ repair database feature, checking and updating the WordPress login credentials or by restoring WordPress from a backup. You can read a full document in 000Webhost.com‘s guide. Did you count how many minutes it took you to finish everything? It was most likely just five minutes or less.It’s that easy to start your own blog on WordPress and 000WebHost. Now that you have your website ready, it’s time to write your content, start your blog and spread your message to the world.